You know those mornings when you wake up, look in the mirror and – sort of to quote Peanuts’ Charlie Brown – just want to go ‘bleeaurgh’? 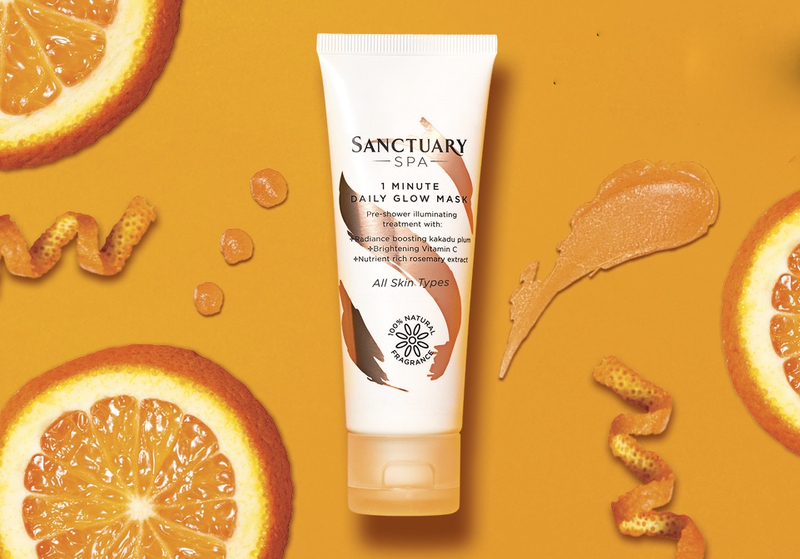 Well, The Sanctuary Spa 1 Minute Daily Glow Mask is for those mornings. You slather the thickish, jelly-like, ever-so-slightly-rough mask onto tired-looking, wan skin. Leave it literally for 60 minutes and then massage in before removing (we like to use a hot, wet muslin washcloth or flannel for that). The tiny granules in the mask – which give it that faintly rough texture – then get to work buffing away dead cells to restore glow, prepping skin for a good, long drink of moistuirser. Affordable, if not quite a ‘beauty steal’, the mask boasts a skin-brightening cocktail of three vitamin C fruits, kakadu plum (whch is great for radiance) and rosemary and is just phenomenal at putting the glow back ultra-fast. 60 seconds really does the trick. The ‘Daily’ in the name hints at the fact that at a pinch, you could use this every day. Our experience? The results after just one use should have you smiling at your reflection, rather than ‘bleeaurgh’-ing, for a good few days.